There is a growing push in the nursing field for a Bachelor of Science in Nursing, the BSN degree, from healthcare employers. And the nurses themselves are reporting several benefits with the degree. These include greater earning potential, a wider perspective to see the bigger picture, and the ability to advocate for their patients more effectively. The need for RNs is growing. In fact, the projected increase is 16% through 2024. These nurses are needed for an aging population, the 77 million boomers. But the pool of new nurses can draw from just 44 million Generation Xers. This statistic alone accounts for a major cause of the increasing demand. In addition, hospitals now need highly trained staff with specialized skills. Stays are shorter. With new technology, patients are more quickly diagnosed and their condition assessed. That means treatment and discharge happen much more rapidly than before. The focus in hospital stays is toward intensive, complex care. These include help with respiratory problems and monitoring cardiac complications. All of this requires high-end nursing skills. At the same time, enrollments at universities in nursing degree programs have declined. In decades past, the fields open to women were limited. Nursing was one of the few areas that offered adequate pay, chances for advancement and meaningful work. But now women can choose from a wide range of occupations, so fewer are choosing nursing. Four years of college classes seems daunting to many entry-level students. However, the investment of time and money results in a wide-open career path. When compared to students graduating from an ADN program, they have a far greater potential for higher pay, career advancement, graduate studies and recognition. And it is a fact that many hospitals will now require nurses they hire to have a BSN. Hospitals with a staff of BSNs qualify for the highly prized Magnet Recognition from the American Nurses Credentialing Center. Another big reason hospitals are choosing BSN candidates over ADNs is the fact that studies done by the American Association of Colleges of Nursing show that BSNs have a patient list with lower rates of death, more “higher-quality outcomes” and fewer “adverse events.” This is a period when hospitals and individual healthcare providers are held accountable for how patients fare while in their care. It makes sense for hospitals to protect themselves by hiring the best trained prospects. BSN training places great emphasis on digital technology, leadership, coordination of patient care and communication. These are all skills that are needed when practicing modern medicine. Clinical skills and the physical and emotional welfare of patients will always be at the center of nursing. But how tasks are performed and how decisions are made about what is needed are changing. That is precisely what BSN students are learning. There are six colleges and universities in Montana offering BSN degrees. The following list focuses on those that are approved by the Board of Registered Nursing. It is important to check each of the programs for their accreditation status because Board approval does not automatically mean that the school is accredited by institutions like the Accreditation Commission for Education in Nursing (ACEN) and the Commission on Collegiate Nursing Education (CCNE). Here is a look at the opportunities available for licensed practical nurses, registered nurses and those new to the profession to enroll in a BSN program in Montana. LPN to BSN: Experience counts. As a licensed practical nurse, you will have advanced standing in the BSN program. In order to shorten your time to complete the requirements for a BSN, look at schools with an LPN to BSN option. As a rule, they are more likely to transfer your credits, acquired at an accredited institution, and apply them to their own degree requirements. RN to BSN: The profession makes it convenient for current RNs to get their BSN, often in just one year. The goal is to make it as easy for RNs as possible to get a BSN, removing concerns about extended classroom time and fees. If you are an RN, with two years of general education and nursing courses, and with on-the-job experience, many programs offer online coursework. Students in these programs need to have an active RN license, as well as meet the other requirements of the program. Traditional BSN: Many nursing students are deciding to start with a BSN degree program. They understand it helps their career prospects, salary opportunities and chances for advancement. This program includes the university’s standard general education requirements and science courses, which need to be successfully completed before starting the nursing component. For a traditional BSN, this usually takes three to four years. Fast-track BSN: Professionals in careers outside healthcare are taking an interest in nursing. To facilitate this, anyone with a bachelor’s degree can apply to a fast-track BSN program, as preparation for the NCLEX-RN to become a registered nurse. To qualify, you must be a graduate from an accredited institution in order to transfer your general education and science courses. The fast-track program can be completed 12 to 24 months, depending on the class schedule. Following a traditional program, the student completes classes over a four-year period, leading to a Bachelor of Science degree in nursing. The curriculum is a mix of clinical and classroom training that leads to a solid grounding in academic and practical skills. Upon graduation, students can take the exam that leads to licensing as a registered nurse. This allows them to work in hospitals, home healthcare situations, schools, long-term care settings and in community agencies. 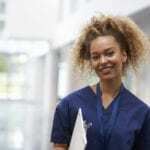 After the four-year training, the student is capable of providing nursing care to diverse populations, make medically sound decisions in a nursing capacity, show critical thinking skills, communicate effectively, delivery patient-centered care and act with leadership in the course of the job. The first two years of a traditional BSN program cover a variety of non-nursing courses as the basis of the nurse-focused classwork. The nursing curriculum includes basics of the profession, health assessment, pathophysiology, health for adults, child and family, pharmacology, community health, informatics and technology, leadership principles and evidence-based practice. You must be admitted to the school as a student seeking a degree. You must successfully finish the requirements. You must successfully pass the school’s entrance exam. You must apply and submit an official transcript to the Department of Nursing. Your cumulative GPA must be 3.0 and above for prerequisite and general education courses. Once accepted, each student needs to complete a BLS for Healthcare Providers course, submit the necessary documentation for immunization, go through a background clearance and pass a physical exam. Montana State University offers an accelerated second degree BSN to people with a college degree in a non-nursing field. Montana State offers this option on two campuses, in Bozeman and Great Falls. The requirements for the BSN can be completed in 15 months. People interested in this option must also have completed a range of prerequisites. Among others, these include statistics, nutrition, anatomy and microbiology classes. See the school’s website for the full list. The schooling is intense and there is heavy emphasis on clinical experience. Students work closely with experienced nurses in clinical facilities. To enroll, the student must meet requirements that are similar to a first-degree program. The first degree must be from an accredited institution and the student must meet the requirements for current enrollment. In addition, the student must pass a background check, have immunizations and pass a physical, and complete a BLS for Healthcare providers. After successfully completing the degree requirements, the graduate can apply for the NCLEX-RN. Financial aid for your BSN degree can come from various sources if you’re willing to search. Start with the FAFSA form, available online or at your school’s financial aid office. To bolster the nursing workforce in Montana, there are several that will you’re your nursing degree. Compare programs at public colleges or universities as tuition is significantly cheaper than private schools. 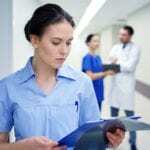 Prestige is irrelevant for nursing schools; what matters is the school’s NCLEX-RN pass rate, which provides a good indicator of your success. If you’re employed in a healthcare setting, your employer may provide tuition assistance or reimbursement based on your work status or length of service. However, there may be a cap on the reimbursement. Either way, the money returned will reduce your out-of-pocket costs. 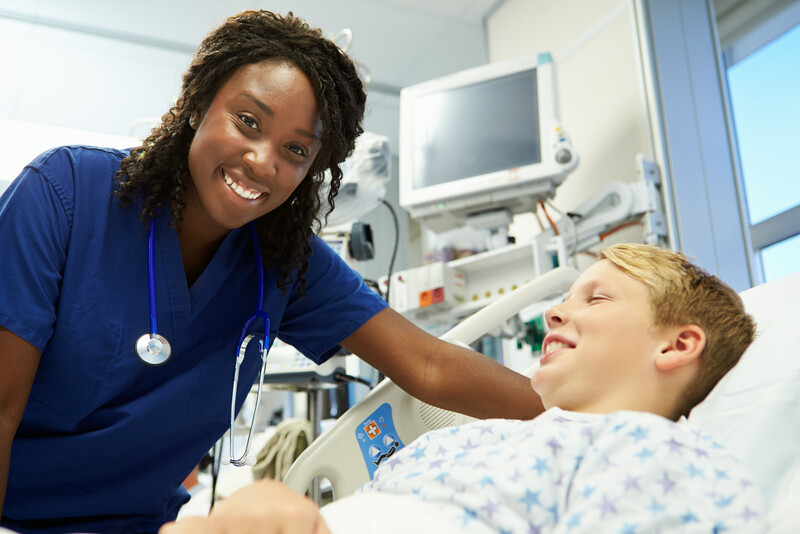 The AACN’s resource list, “Scholarships and Financial Aid Resources for Nursing Students,” also provides a wealth of information for student nurses who need grants and scholarships to fund their education. The average cost of tuition is $2,135 per semester for resident students.